Florida Book News: Pack your bags and Go Cruising Alaska Tropical Style! Pack your bags and Go Cruising Alaska Tropical Style! Patty Kunze Tatum has published Cruising Alaska Tropical Style, the story of a 15-year-old girl who spends a summer on an Alaskan-based cruise ship. Cape Canaveral, FL – Patty Kunze Tatum has published Cruising Alaska Tropical Style, the story of Sara Alexander, a 15-year-old girl who spends a summer on an Alaskan-based cruise ship with her workaholic “Queen Mother the Cruise Director” who drives her insane. Drawing from her experiences working on board cruise ships, Patty gives readers a behind-the-scenes view of what it's like to work in the cruise industry while enjoying a tour of Alaska as seen through the eyes of a teen. Patty is a native of Orlando and lives in Cape Canaveral. She performs with the acoustic duo Sound Traveler. 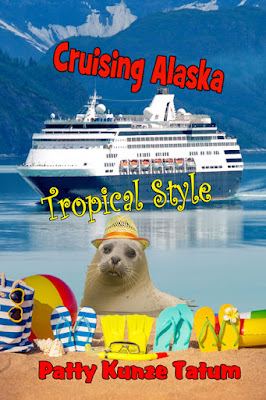 Cruising Alaska Tropical Style is available on Amazon, Kindle, CreateSpace, and at Sound Traveler performances. “Sara's story is a coming-of-age adventure of a typical teenage girl who finds herself in an exotic setting,” Patty explains. “Most people would love nothing more than to have the opportunity to live on board a luxurious cruise ship.” However, when faced with separation from her friends and father, then being forced to spend an extended amount of time living in close quarters with her mother with whom she has a strained relationship, the situation is not very appealing to Sara. As the summer progresses and Sara interacts with people from all over the world, her perspectives broaden and she learns more about life, both on land and at sea. Patty Kunze Tatum worked on board Norwegian Cruise Line and Holland America Line for over three years as a social hostess, youth coordinator, and art director. The experiences she gained provided her with the background information to create Cruising Alaska Tropical Style. 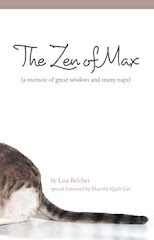 Teaching middle school language arts inspired her to write something of special interest to adolescents while still being enjoyable for readers of all ages. For additional information about Cruising Alaska Tropical Style, contact Patty Kunze Tatum by email at silvernotes@att.net or her website www.soundtravelerband.com. Copies of Cruising Alaska Tropical Style (ISBN 978-0692491669) are available in paperback at Amazon, CreateSpace, and directly from Patty. E-books are available through Kindle.